A lover of the spiritual arts and a free-spirited Aquarian, April is a Reiki Master & Meditation Teacher who began her lifetime path & healing journey over 15 years ago. The deep levels of expansion and spiritual connection she experienced from her studies provided a foundation for powerful mind/energy techniques. She currently hosts Crystal Clear at Unplug, Reiki trainings, private treatments and crystal healings which include sound and aromatherapy for complete balance. As an Advanced Akashic Records Practitioner, Meditation Instructor, Author, Yogi, and Soundbath facilitator, April holds events on the westside. Her book Chakra Balance, A Beginner's Guide to Healing the Chakras, can be found at the Unplug Meditation Shop in Santa Monica. She encourages everyone to explore and activate the healing that lies within and deeply supports self-healing techniques. Stick around after her classes for a complimentary chakra reading & crystal prescription! I meditate to deepen my connection with the Infinite and to tap into my inner resources of joy & peace, which are always available to us if we get quiet enough to hear them. In order to help others reach the tender space of their own consciousness and to help them uncover their deepest truth that lies within. Meditation empowers anyone who calls themselves a Seeker of Truth! Pamela Robins draws on pivotal personal experiences and training in a wide mix of healing modalities to deliver transformational wellness offerings, including group and private sound bath sessions, meditation workshops, sunset nature walks, and specially curated events at private homes with people and their animals, as well as corporate offices and other unique destinations. Based in Los Angeles, Pamela teaches at Unplug Meditation in Santa Monica. She also hosts events held in her Tipi "House of Two Spirits" on a private ranch in Agoura Hills where her horse Tuxedo and his trusty sidekick Poptart the mini horse reside. Tuxedo and Poptart are part of the team and enjoy joining Pamela’s sunset nature walks. Pamela is an enthusiastic student of continuous learning and personal growth through traditional therapy; intuitive studies and guidance; healing work (breath, movement, sound and meditation); and nature. She is an animal lover and advocate, as well as an entrepreneur, inspirational guide, speaker, teacher, healer and now author of the new book Meditating with Animals: How to Create More Conscious Connections with the Healers and Teachers Among Us. The book was written after Pamela experienced a series of major life challenges in rapid succession, forcing her to let go of life as she knew it in order to rediscover herself and her passion for healing and championing others. Pamela is a yoga, meditation, Reiki and sound healing practitioner; and a fitness enthusiast. She has completed her 200-hour Yoga Teacher Training Certification, Reiki 1 + 2 Certification and Sound Healer Practitioner Certification to deepen her own practice in order to share the gifts, teachings, wisdom and magic bestowed upon her during her journey of self-discovery. Meditation allows me to re-set myself at any point in the day and begin again with fresh perspective and energy. It is my most valuable resource to be able to use this modality to tap into my inner world and stay grounded and connected. I love being able to share the gifts that I have been given on my own healing journey with others. To provide someone a moment of peace, relief, awakening, understanding or empowerment fills my heart because I am living out my soul's purpose through my teaching. Desi is a certified Clinical Hypnotherapist from HMI College, California. She’s certified in Therapeutic Imagery, Hypnosis for Immune Disorders, Hypnosis in Labor and Childbirth, Smoking Cessation, Weight Loss, Healing the Child Within, Trauma Recovery, Pas Life Regression Therapy, Body Syndrome (derived from psychosomatic medicine) and Fears and Anxieties. She has also studied various energy healing modalities such as Reiki, Chakra Alignment, Clearing Energetic Blocks and Qi Balancing. 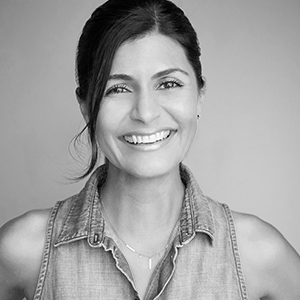 In addition, Desi holds a Bachelor Degree of Contemporary Arts and a Master of Fine Arts in theatre and film, which she believes, has further contributed to her understanding of the human psyche and interconnectivity. To align, open and ground myself. To help you achieve a state of inner peace and harmony so that you can come back to yourself and bloom. Teigh has taught group classes and workshops in meditation, mindful movement and transformation for over 20 years throughout Los Angeles. She teaches her signature meditation classes combining guided imagery, breath awareness and deep relaxation. She is also an intuitive Reiki healer and leads chakra balancing. Every month she leads an intimate New Moon “Sacred Transformation Circle” at her home studio. Teigh is also a Licensed Spiritual Therapist, through Agape Spiritual Center and went through a 4 year program under the direction of Michael Bernard Beckwith. She counsels individuals for all life issues utilizing spiritual principles and practice, guiding clients to their own answers, insights and healing. She was the Co-Founder of SWERVE Studio and the revolutionary program Yoga Booty Ballet (which brought together spirituality, meditation and fitness). And is the featured instructor in over 20 YBB DVD’s, including a meditation CD, a pre-natal program and infomercial. Teigh brings humor and love to all of her classes and truly believes in the healing and transformative power of meditation. Because it anchors me in the vibration of peace, allowing me to live a life of greater present moment awareness and less reactivity. Meditation makes me a better parent and connects me to the Infinite. Because I am passionate about the healing and transformative power of meditation and I LOVE to share my passion. A dynamic leader in the wellness, transformation, health and fitness arenas for over 20 years, Nicholas is overjoyed to be a part of the Unplug community and the mission to inspire everyone. Through breathwork, aromatherapy, sound healing, energy modalities and more, Nicholas is excited to help you Unplug from the outside world and plug in to your inside world. Celebrated for his contributions around the world, his classes exhibit masterful motivation, refreshing inspiration and provide a wonderful platform for physical, mental and emotional transformation. He is thrilled to share his expertise through a variety of credentials including: Licensed Nuero Linguistic Therapist | Breathwork, Yoga and Chi Gung Instructor | Social and Emotional Intelligence Coach | Motivational Master Coach | Flower Essence and Master Reiki Practitioner. With unique brand strategy, comprehensive trainings and infrastructure development expertise, ventures have taken Nicholas to several continents, opening wellness centers, launching spa products, mentoring corporate leaders and serving on advisory boards for wellness, fitness, spa and hotel establishments. International non profit work focused on the empowerment of underprivileged children has further enhanced his vast experience, solidifying a sensitive and nurturing perspective. I love being in a practice of meditation. Its reminds me that life is a constant, moving meditation. I feel like it keeps me in flow with my truth, heart, soul. Then that flow from the inside, takes me and more flow from the outside, finds me. And that is just, well...yummy! Creating an opportunity for someone to reconnect, realize, feel more peace and more of who they truly are, is a passion. I believe we are all designed for greatness and being still for a moment or two, allows that greatness to speak through the stillness. So lets be still, allow greatness to arise and fly. Ana is a UC Berkeley graduate and a certified breathwork teacher and intuitive healer. With the help of aromatherapy and music therapy, Ana helps guide clients to release stress, fear, anxiety, and anything else that's holding them back from living their true potential. Ana has been featured on BravoTV, brings breathwork to the corporate world, and volunteers at weSpark, a non-profit that helps cancer patients and survivors improve the quality of their life. Ana loves holding space for her clients and seeing them radiate in their light after a breathwork meditation session. Living in Los Angeles can be super intense, add life on top of that and things can get very overwhelming. I practice meditation to reduce stress in my life. And it's a tool I use to become present in life and to get clarity on situations. I love teaching breathwork because I love helping people tap into their inner strength. Lynda Arnold is a certified Sound Meditation Facilitator, Vocalist & Multi-Instrumentalist, Composer and seasoned Performer on a life long mission to build healthy communities through the power of sound and music. She offers sound healing workshops, private sound baths and singing for wellness sessions in Los Angeles and has appeared at Shakti Fest, Bhakti Fest, LA Yoga Expo, SXSW, Lightning in a Bottle Festival, Emerald Exchange Festival, UNICEF Fundraiser and Lucidity Festival among others. Her intention is to provide a gateway for people to reduce stress, transform consciousness and heal through sound and meditation. She received a Certificate in ‘Sound, Voice and Music Healing’ at the California Institute of Integral Studies in San Francisco in 2010, has multiple music degrees and over 20 years of music education and performing experience. The ‘Sound, Voice and Music Healing’ program designed by voice healing luminary, Silvia Nakkach, featured a dozen visiting teachers specializing in different Sound Healing techniques in addition to Silvia’s Yoga of the Voice training and repertoire. After the yearlong program, Lynda went on to study Tibetan Bowl Sound Healing with master practitioner and educator Suren Shrestha. She also holds a Usui Reiki Level 1 & 2 certificate. Her private sessions combine the Tibetan Bowls with other sacred sound instruments like tuning forks, gong, voice, drums, chimes and flutes. She works with people to unlock the power of their voices for well-being with simple exercises to build confidence in the instrument we all possess. As a multi-instrumentalist, recording engineer and music producer, she has spent years collaborating with other artists and bands and touring in support of her releases as Divasonic. She has multiple album and single releases on labels EMI, Clubstar (Germany), Geomagnetic (San Francisco), RTFM/Sugo (San Francisco), Epiphyte (San Francisco), Temple Music Group (San Francisco) and her own imprint, Digital Bliss Recordings. Lynda is also a seasoned music and audio production educator and writer. She has taught at Pyramind Training Music & Audio Production School in San Francisco and Ex’pression College for the Digital Arts (Now SAE) in Emeryville. Lynda was a contributing writer for a Pyramind School textbook published by Alfred called ‘Music Theory, Songwriting and the Piano’ in 2013. She currently writes tutorials and product reviews for popular online site Ask.Audio. I practice meditation to center myself from the constant stream of doing. I find it important to pause, breath and just be. This creates and opens space in my body and mind, and allows me to relax in order to take action from a centered place. I teach meditation with sound to invite people into this practice. Sound gives us something to focus on, besides our thoughts, and allows us to become an observer of our self. You can find comfort in the sounds while getting used to the practice of tuning inwards for longer periods of time. Torkom Ji is a master sound healer and founder of Quantum Harmonix. He has been facilitating group sound healing experiences since January 2012, and has provided deep meditation and rejuvination for thousands of people using his unique and powerful modality. His sounds have been experienced at various therapeutic sound spaces at many festivals including Lightning in a Bottle, Shakti/Bhakti Fest, and more. Birthed from his studies of music, vibration, energy and the practice of meditation and martial arts; Torkom has mastered and perfected a system that is known to put people in very deep states of consciousness, with little to no effort. Through the natural movement of these sounds, deep rest is achieved and the bodies own intelligence facilitates an elevated level of healing. He works with companies, groups, and individuals to deliver a transformative and non invasive approach to health, balance, and wellness through sound. Through meditation one finds stillness and connection to the absolute source of creativity and peace. My practice has emboldened my life by helping me ease into a relaxed way of operating, and being. Meditation brings me closer to my true authentic self, and helps with the daily tidying up of the excess thoughts and patterns in the mind. The best way to learn is to teach. Meditation is a science which requires practice and much experience to truly master. I find that anybody can experience a deep and transformative meditation experience, but its in the practice where all the long lasting benefits lay. Through dedicating myself to the art and science of meditation as a tool and lifestyle, teaching and guiding others naturally extends from the same tree.